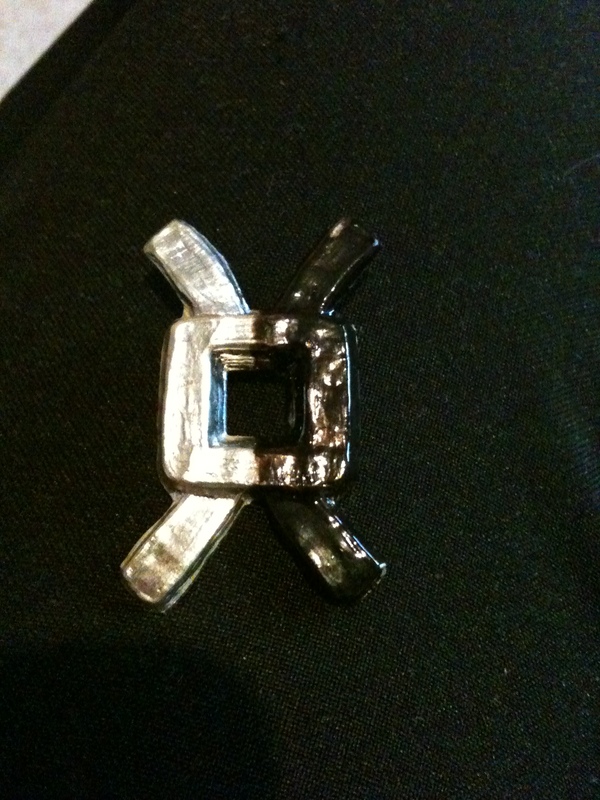 A House Burbage livery badge that I cast in pewter. It was my first attempt at pewter casting, and I carved soapstone to make the mould under the instruction of Kitan von Faulkenberg. The black on the right hand side was me testing what it would look like with colour (black and white are our household colours). A House Burbage livery badge that I cast in pewter. 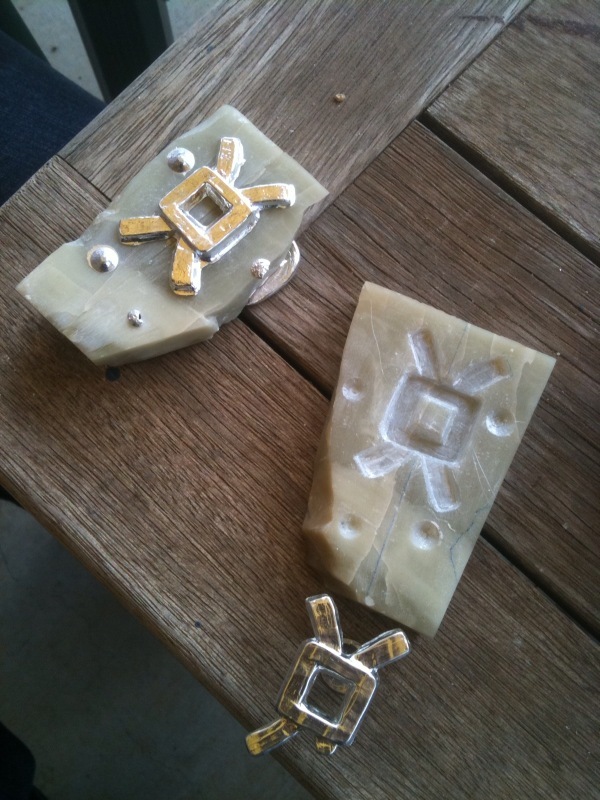 It was my first attempt at pewter casting, and I carved soapstone to make the mould under the instruction of Kitan von Faulkenberg. The black and white were the result of me testing what it would look like with colour (black and white are our household colours). 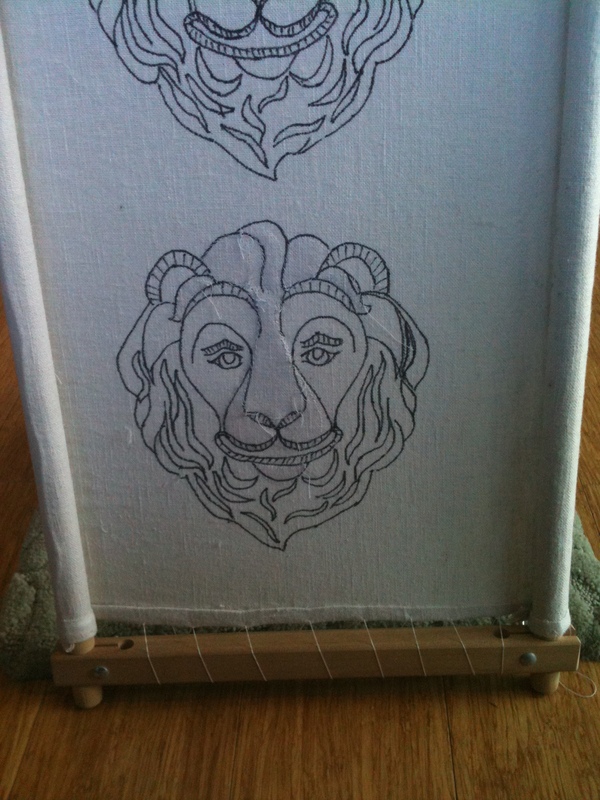 Outlines for a lion on House Burbage’s Pride of Lochac Banner (work in progress). 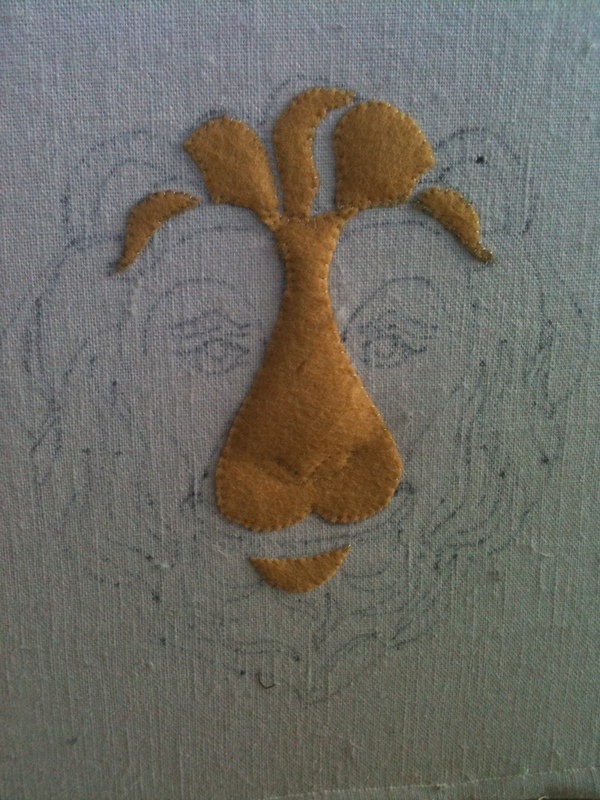 Padding for a lion on House Burbage’s Pride of Lochac Banner (work in progress). 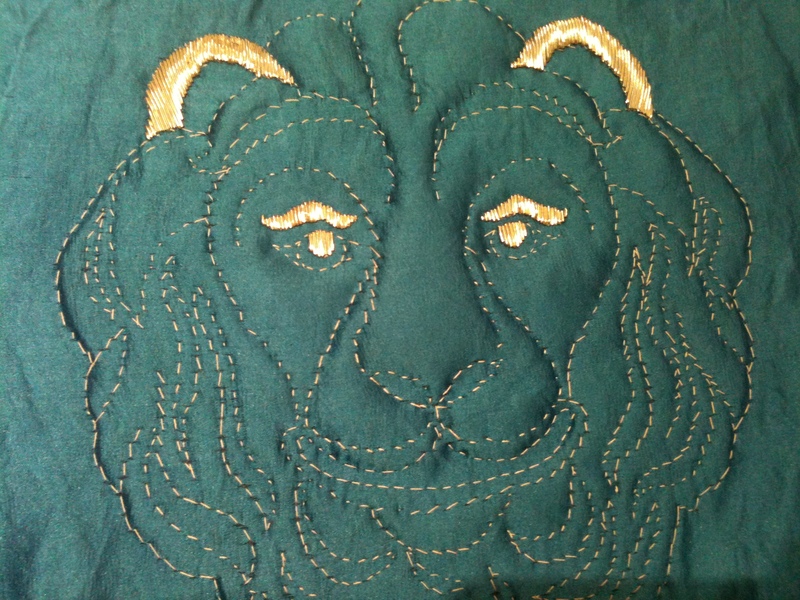 Padding (over the top of smaller bits of padding) for a lion on House Burbage’s Pride of Lochac Banner (work in progress). 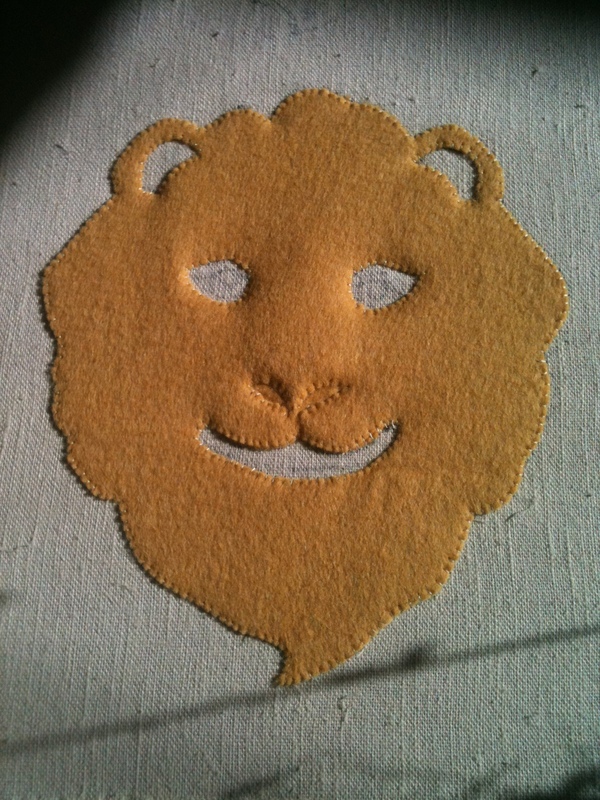 Sewn outline for a lion on House Burbage’s Pride of Lochac Banner (work in progress). 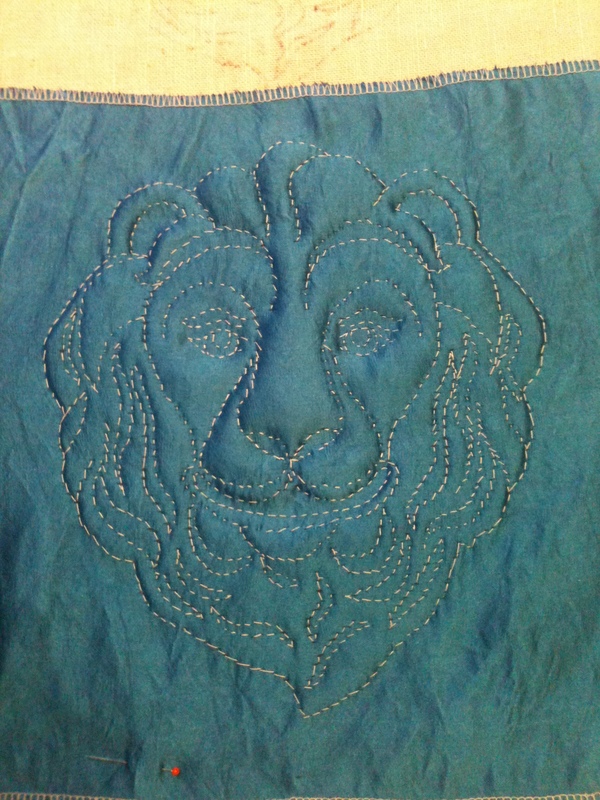 The start of the silverwork (purl) for a lion on House Burbage’s Pride of Lochac Banner (work in progress). 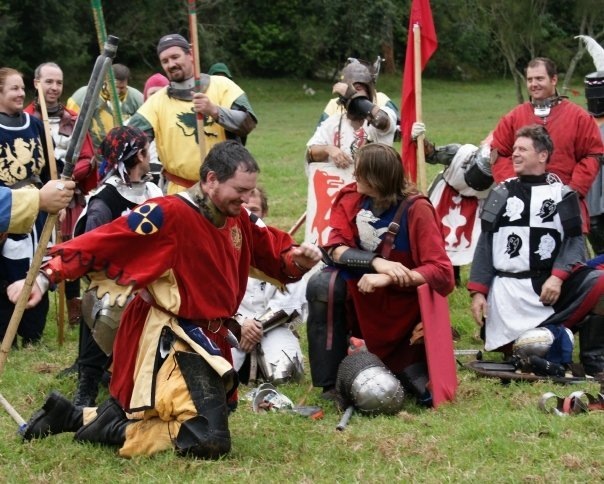 The finished tabard I made Ysambart (red and yellow, front left of photo). 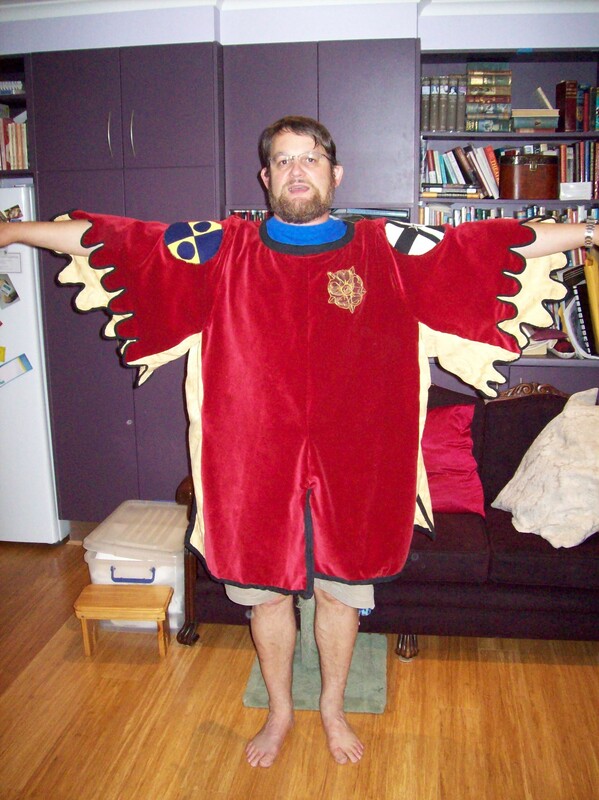 Count Sir Stephen Aldred modelling the tabard for me. 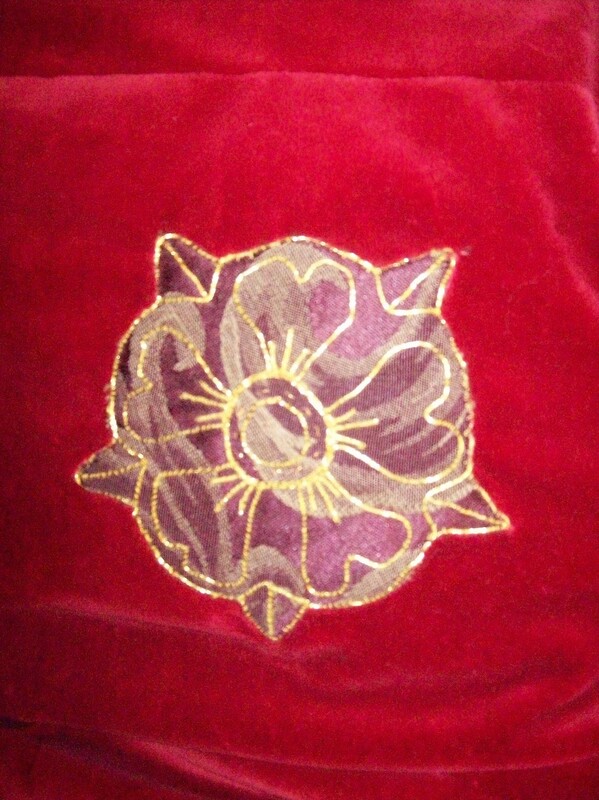 Applique and gold-couched rose. Ysambart was on the Queens Guard at the time. 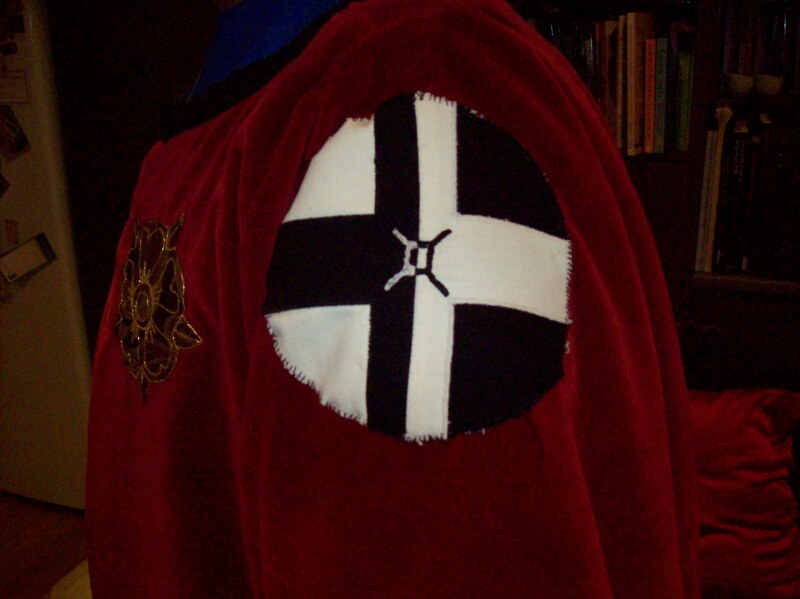 Applique and split stitch badge for the left shoulder of Ysambart’s tabard. 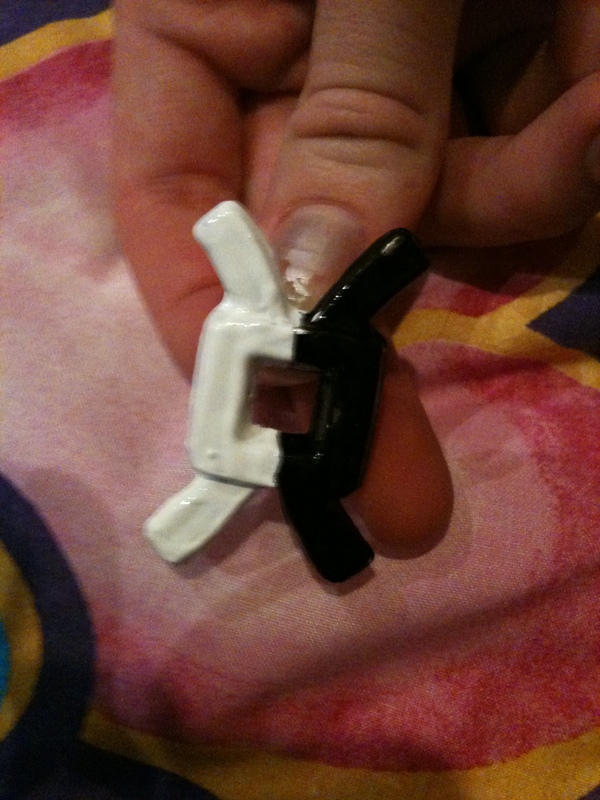 It’s the House Burbage device. 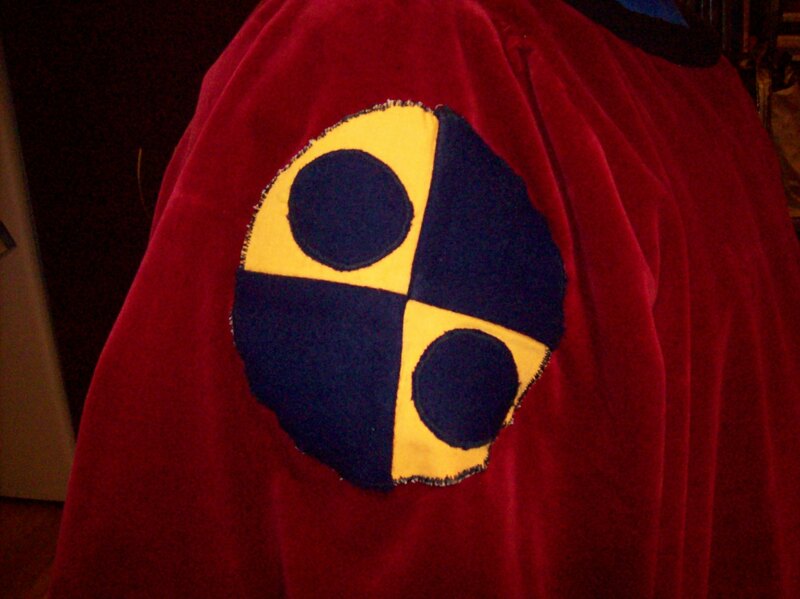 Applique patch for the right sleeve of Ysambart’s tabard. It represents his personal device.